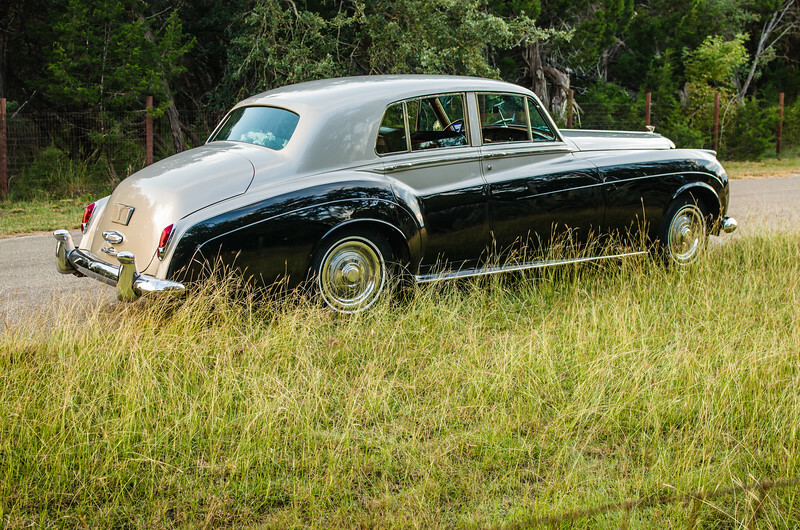 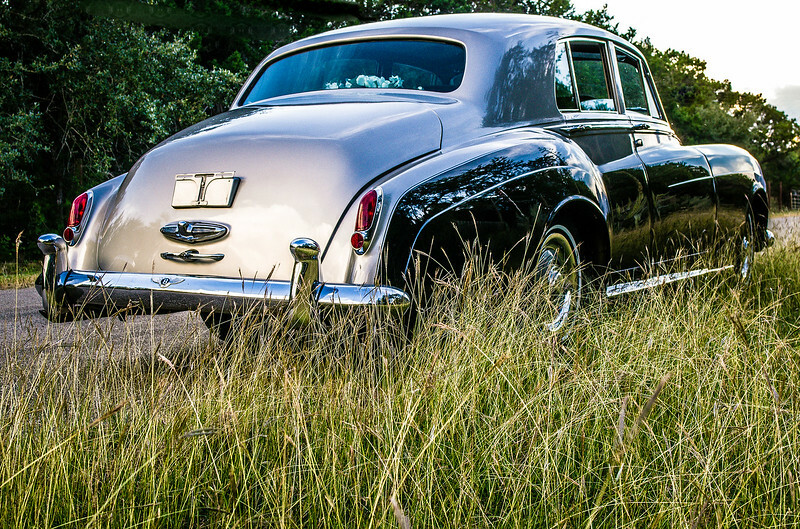 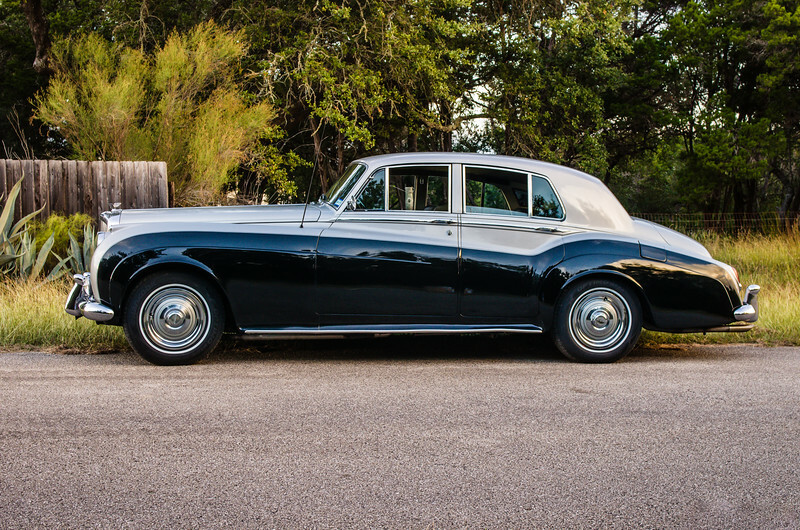 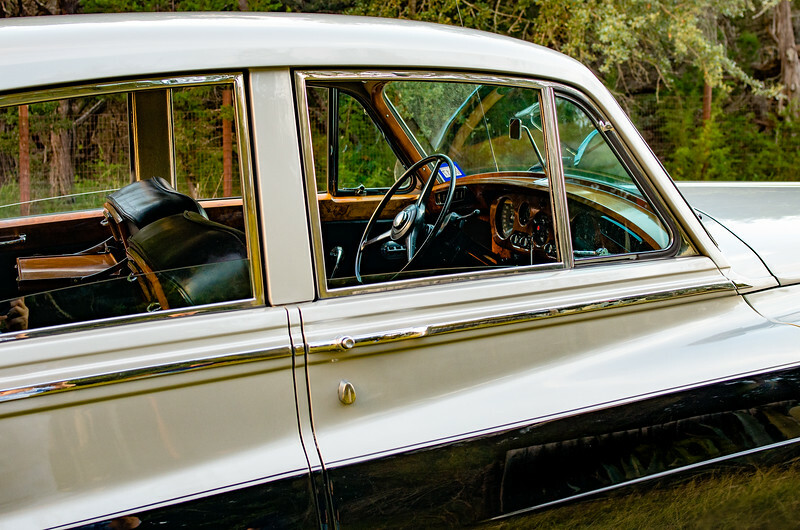 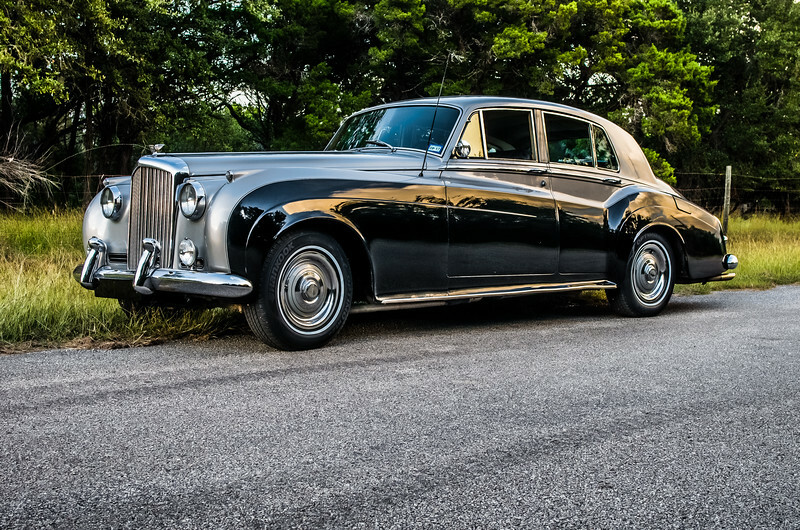 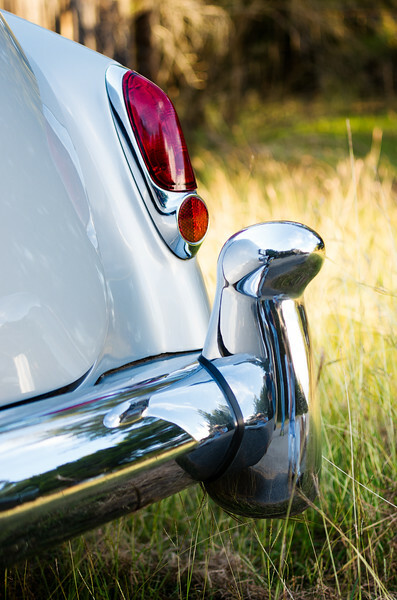 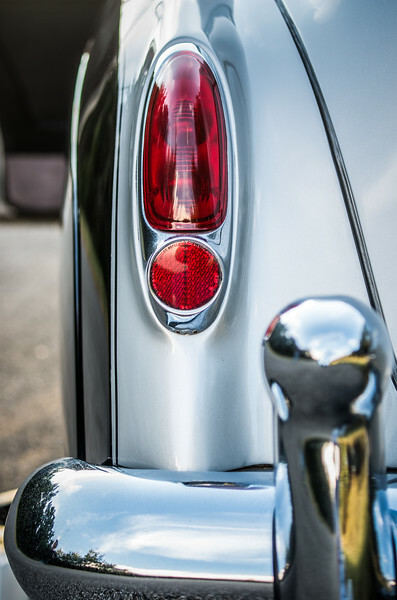 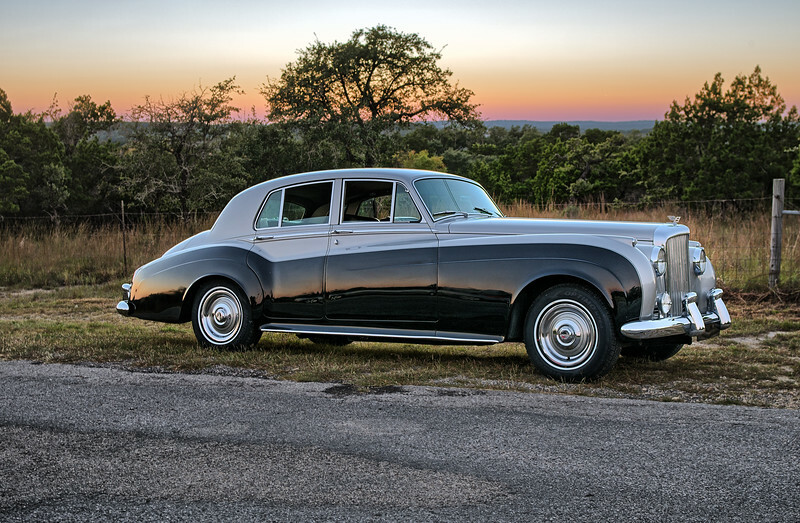 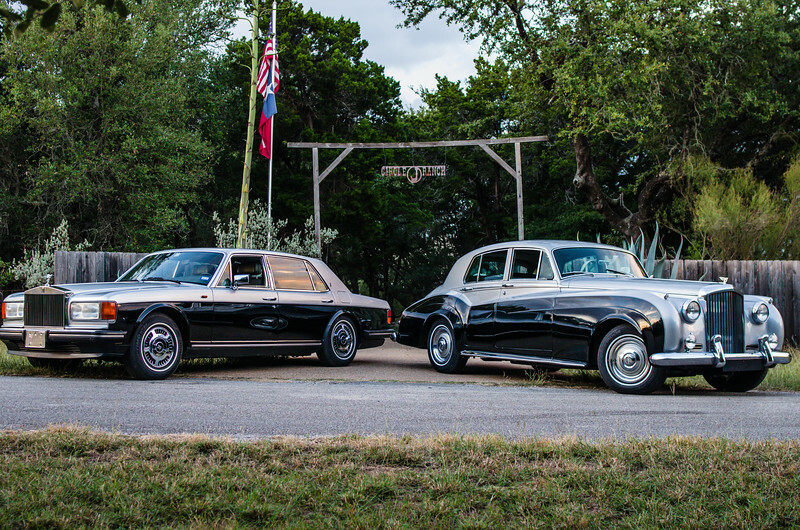 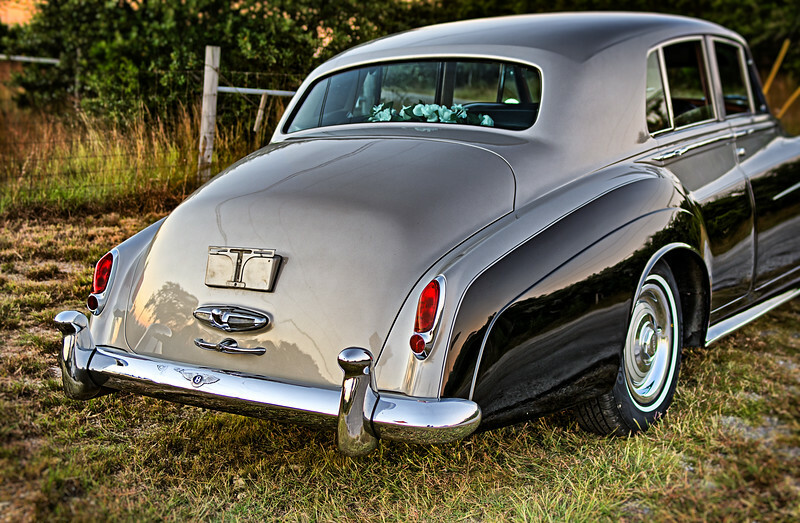 Rear view of 1960 Bentley on a country road. 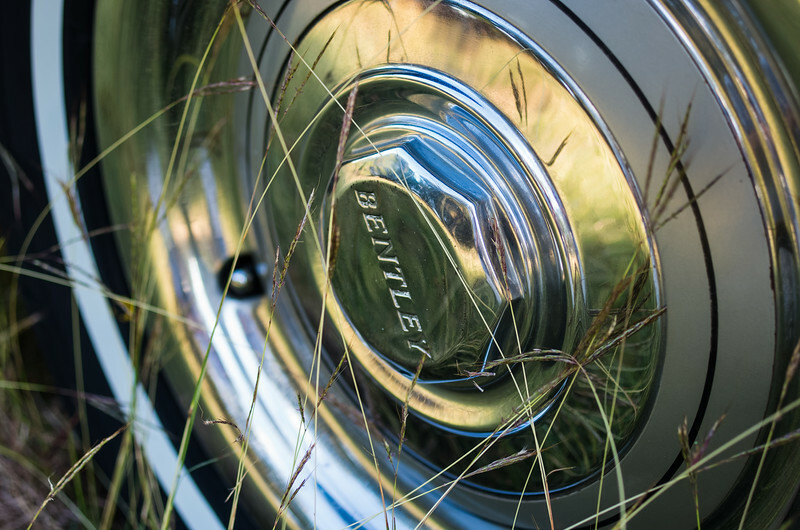 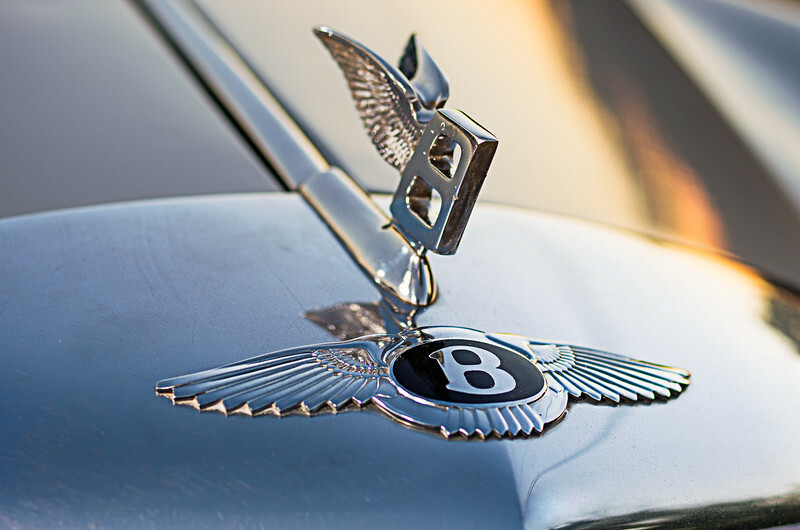 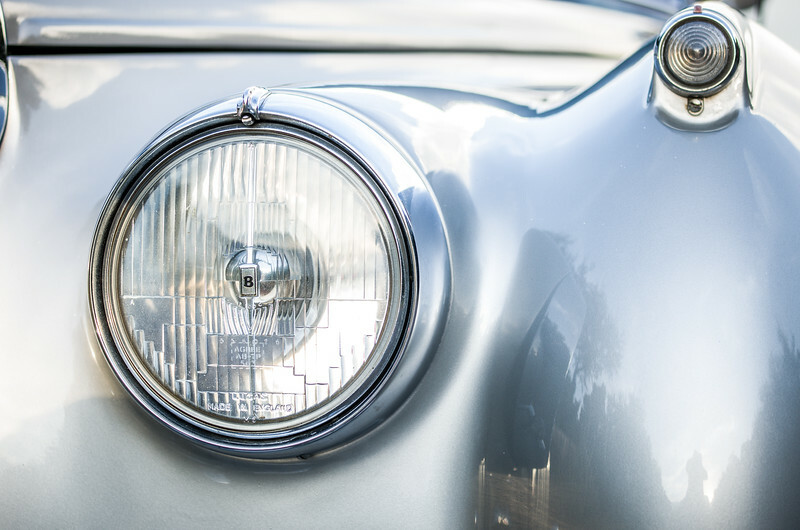 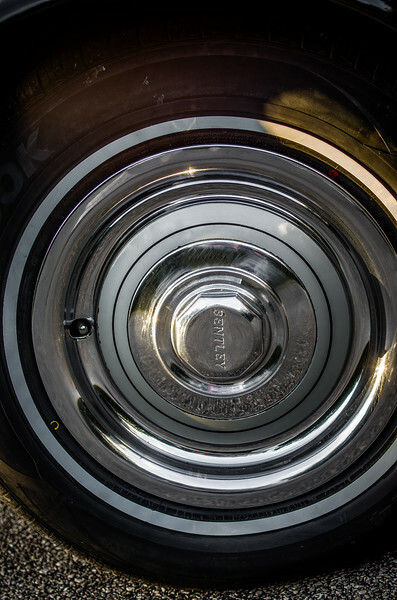 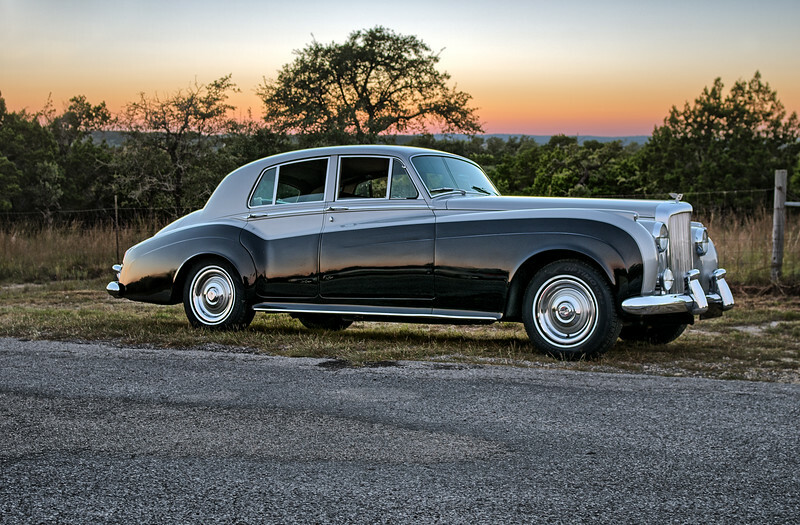 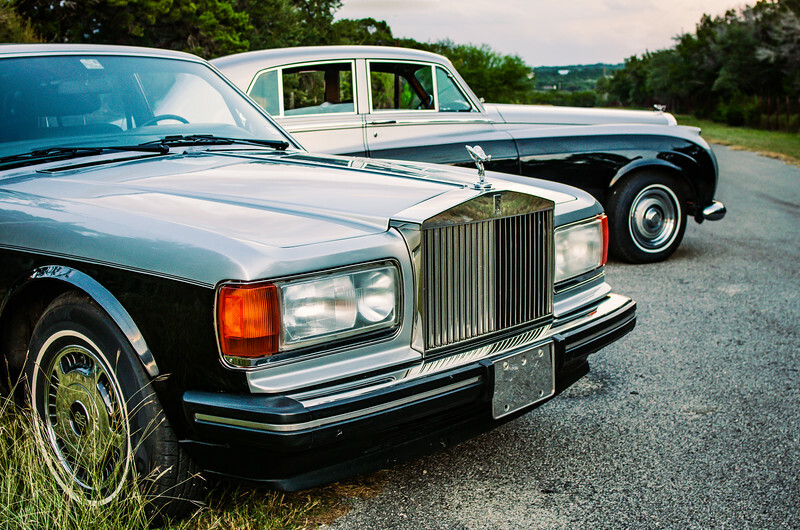 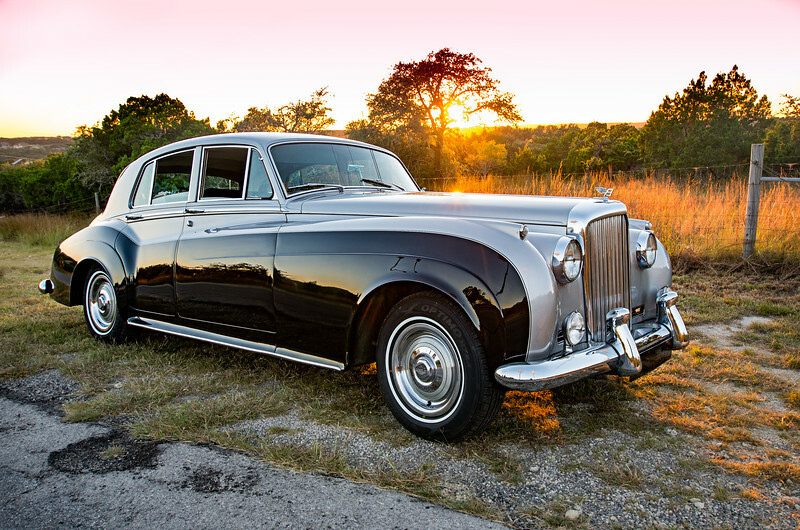 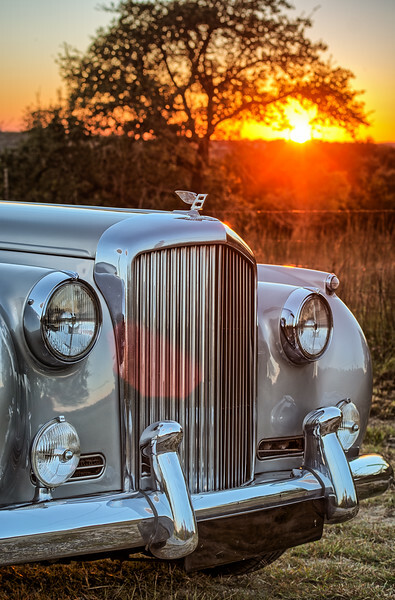 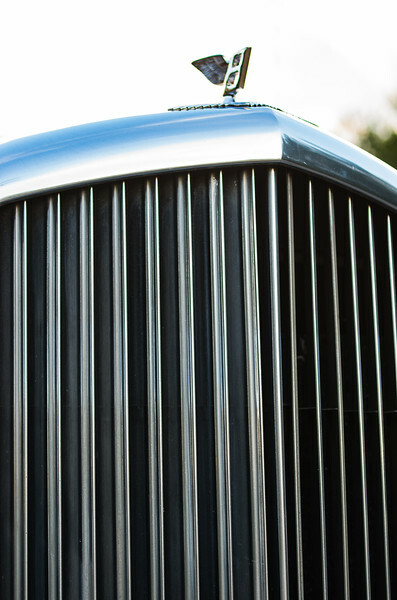 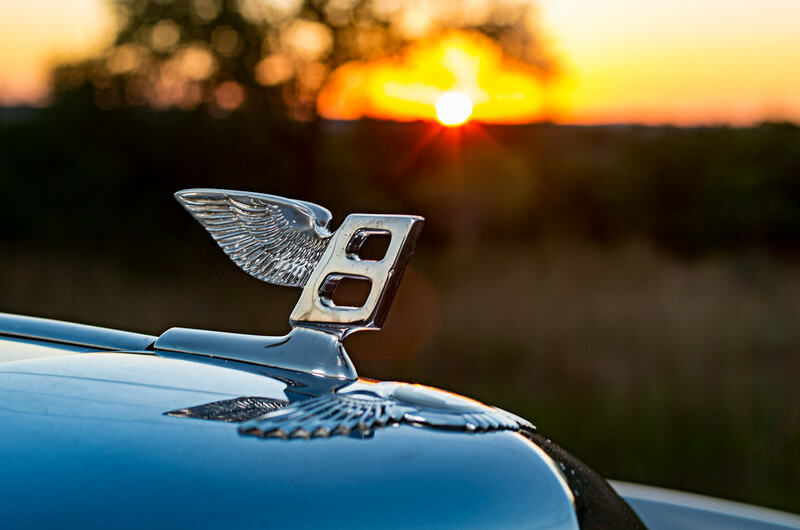 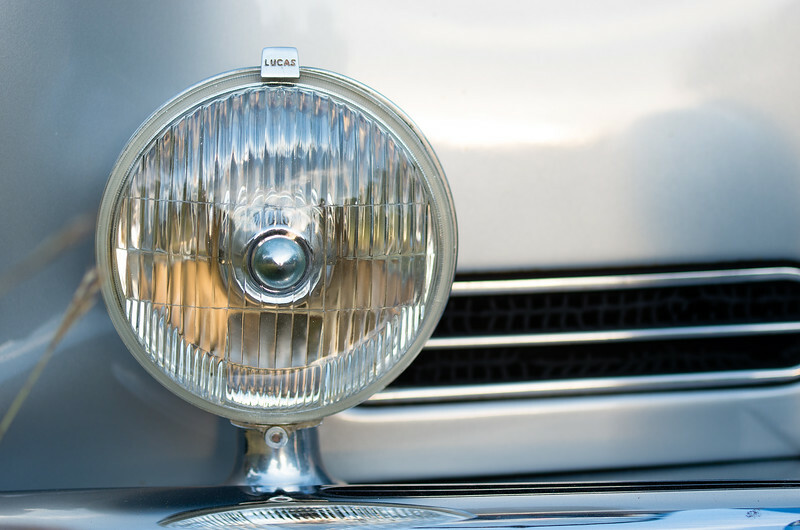 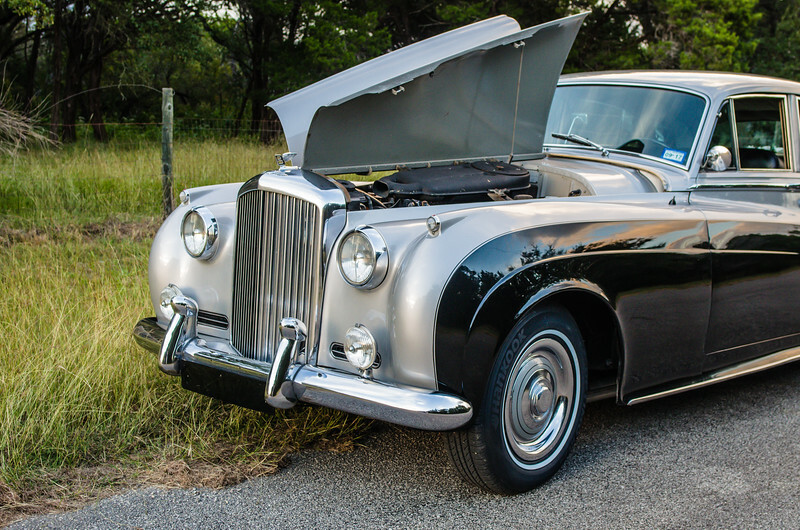 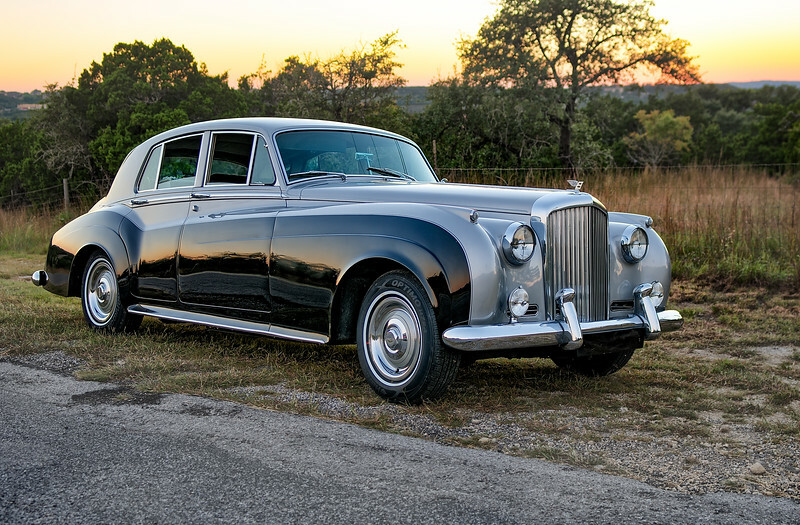 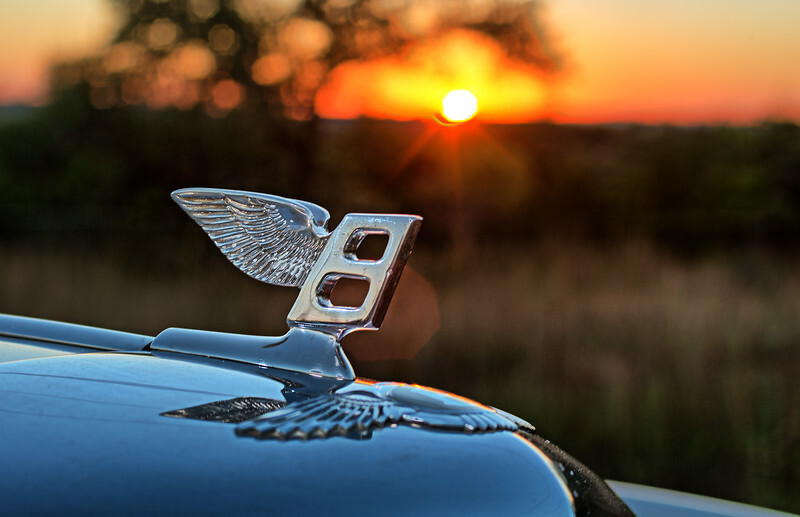 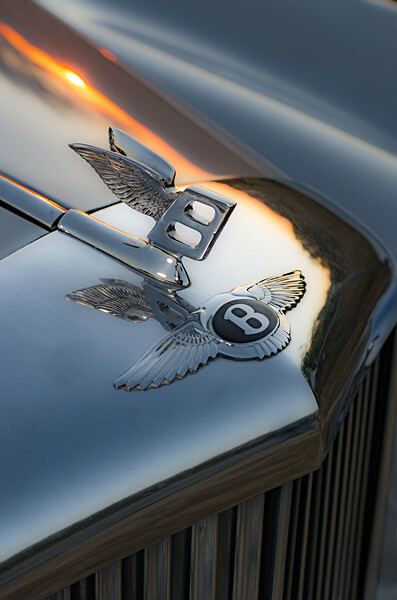 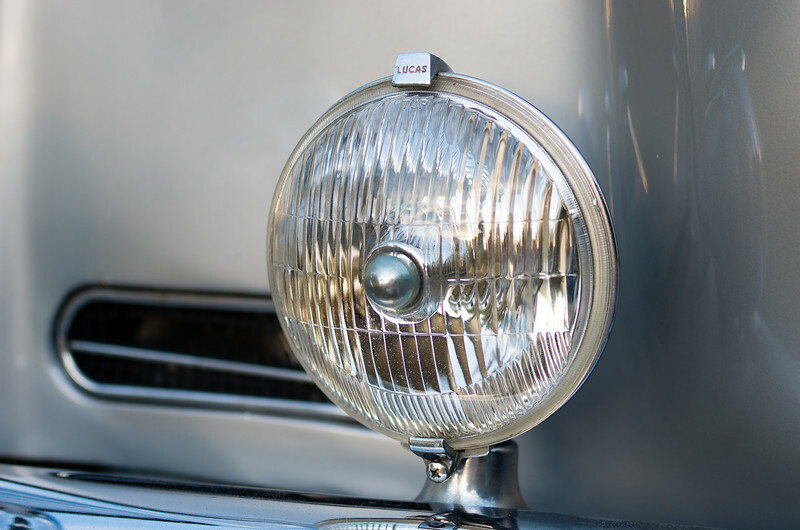 1960 Bentley grill at sunset. 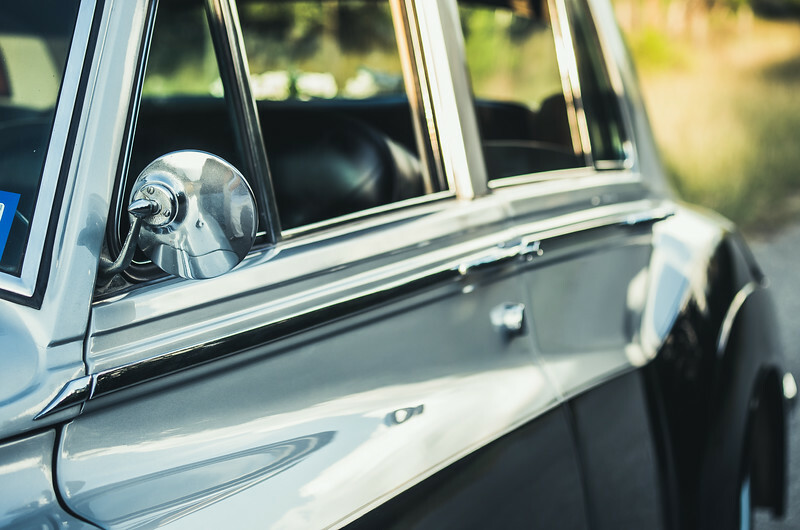 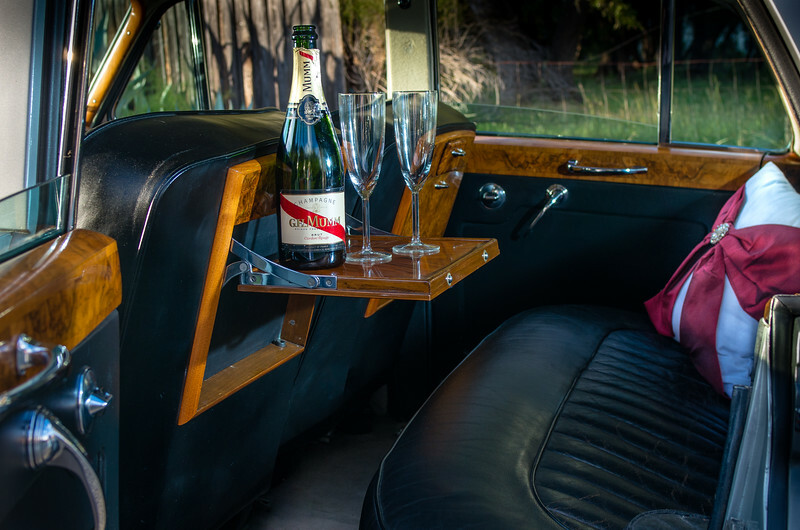 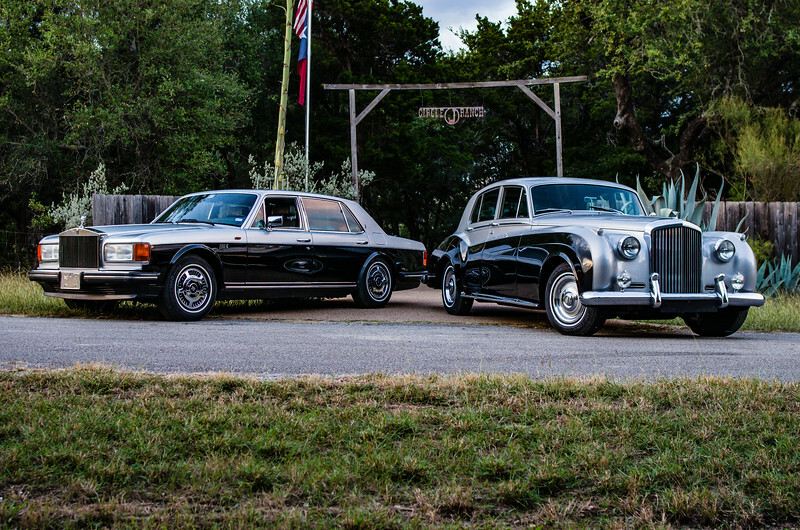 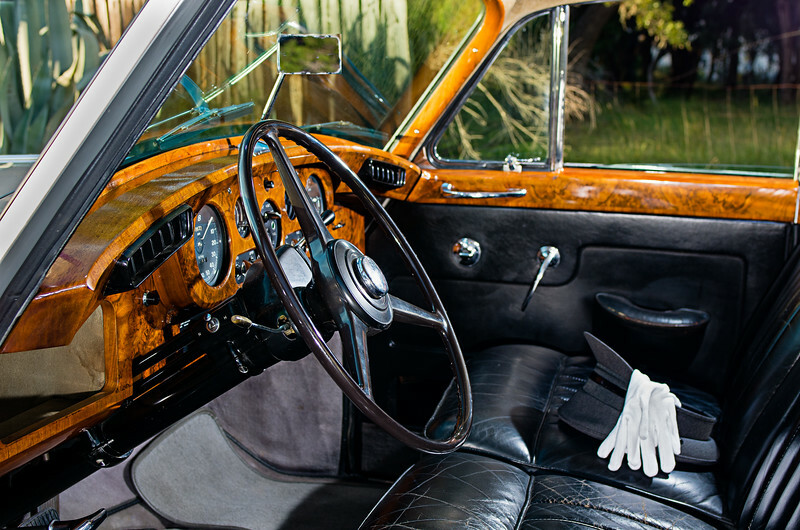 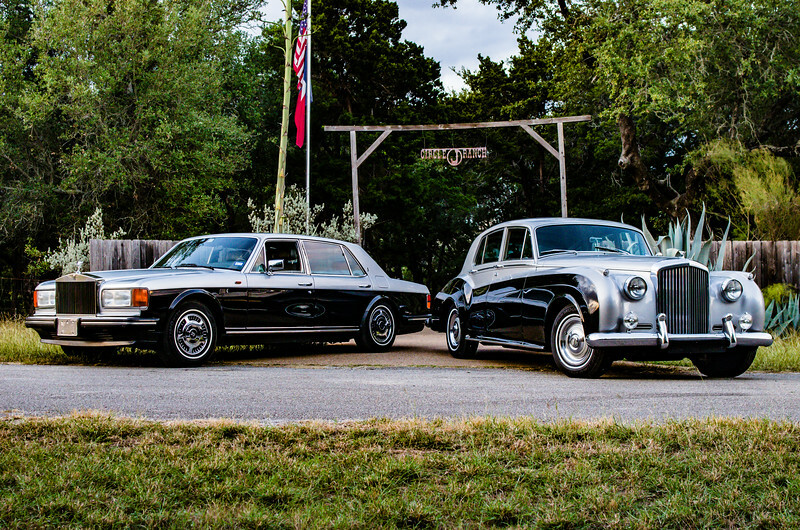 Back seat luxury in a 1960 Bentley. 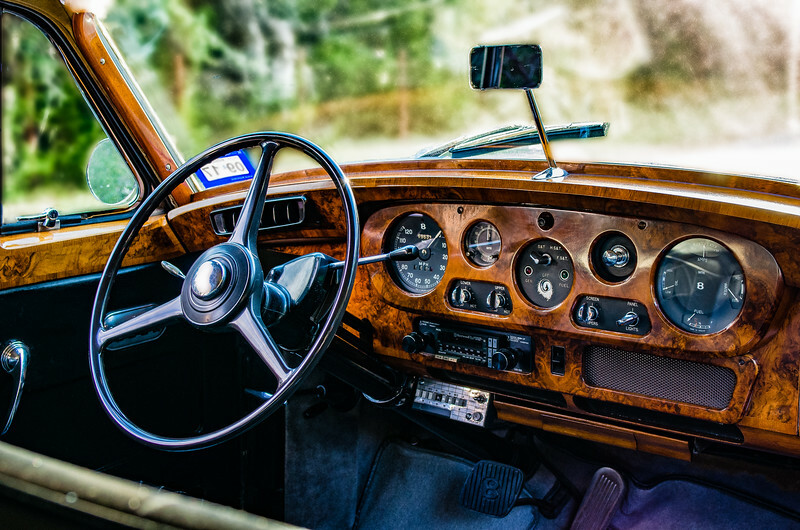 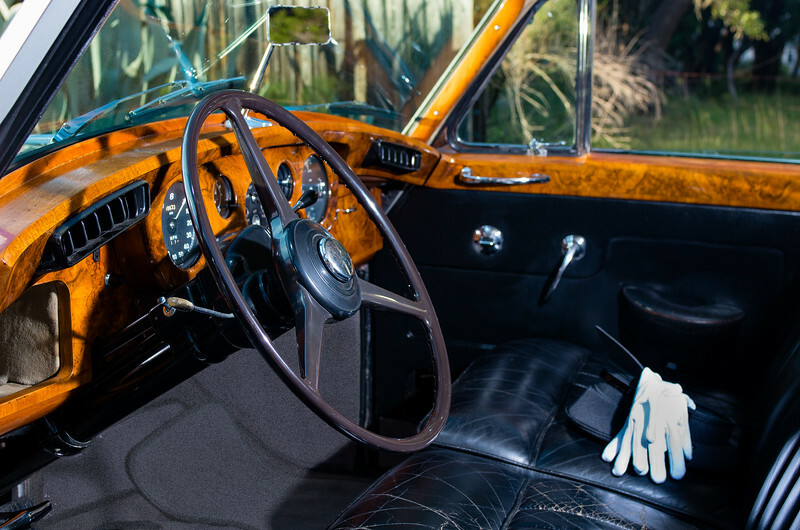 The wood dash of a 1960 Bentley.